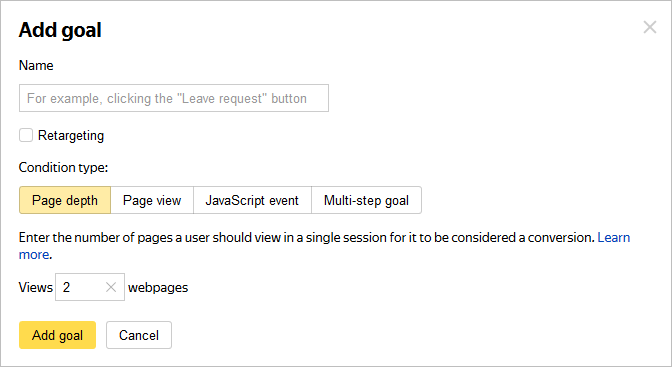 This type of goal lets you track sessions during which users viewed a specific number of pages. Set the option to Page depth. In the Pageviews field, specify an integer greater than 1. Click Add goal. The created goal will appear in the list of goals.